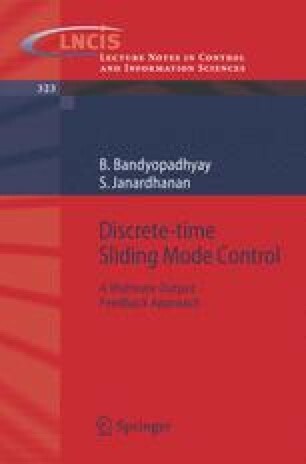 This chapter introduces various techniques of multirate output feedback based discrete-time sliding mode control of LTI systems with uncertainty. Systems satisfying the so-called matching condition  would be studied first. Linear systems that do not satisfy this condition would be handled next in the chapter. Finally the chapter would present a discrete-time version of the integral sliding-mode  control technique. This technique can be used to impart robustness to a controller structure.